Banquet Room (maximum 55 seated or 40 for a cocktail event) Weekday Minimum $1500 Weekend Minimum $2500 A facility fee will not be required as long as the spending minimum is met. To secure a reservation, we require a signed contract and deposit. Basic service items are provided at no charge; however, additional rental fees may occur based on each event’s specific needs. West Coast Provisions offers a variety of menu options. Additionally, we can customize a bar package to suit the budget and preferences for your event. Prices listed in the package do not include beverages, tax, or gratuity. If you have any questions or wish to schedule an appointment to view the private dining rooms, please call (804) 360-1090 or fill out the form under the private events tab on our webiste. www.westcoast.rva.com Thank you for considering West Coast Provisions, we look forward to seeing you soon! 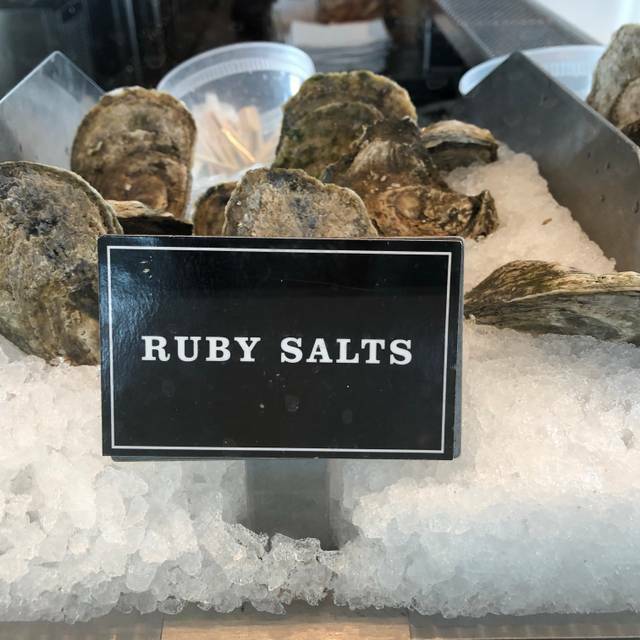 West Coast Provisions is a West Coast-influenced seafood restaurant with an oyster bar, sushi, and hand-cut steaks. We have some great specials on liquor, beer, and wine as well as a nice list of food items, some of which are only available during happy hour. Only offered at the bar, bar booths, and patio on a first come first serve basis. Crab cakes are amazing. I recommend the Richmond mule. Excellent food, but way too loud. They need to do something to absorb the noise. It just wasn't pleasant. The seafood entrees are very trendy and pricey. Small plates seemed to be better choices. There was not a large crowd but was very noisy. We were in a booth and had a hard time hearing one another. Our waitress was excellent. She was attentive, friendly and offered suggestions. Great decor. Not sure I'd go back but it is worth checking out. Nice place with good food. Very small portions for the price on the lunch entree menu. Very good meal! Everyone enjoyed the burgers, the crab sandwich, fries and lava cake dessert for my husband's birthday! They did not have the blueberries for the blueberry pancakes so had to choose something else. We were very pleased. West Coast Provisions was an unexpected treat. We took some friends there for dinner and the food and service were excellent. I will go back on my own, as there were several interesting looking dishes. I had the fish tacos which were the right serving size and very good. The customer service, food and atmosphere was fantastic! We were celebrating 3 birthdays. The tables are very small. Our party of 6 was rather crammed together with seated tables next to us so not much room to spread out. Service is excellent, mixed drinks and beer selection excellent, menu is delicious. We were told we would have an opportunity to have Birthday dessert brought out but that didn’t happen and dessert wasn’t even offered by our waitress, so we just skipped that portion of the meal. Overall, a place we will definitely go back to again. Food and service were excellent. Ambiance and noise level can be improved with some acoustics and some dividers/partial walls. Geat service. 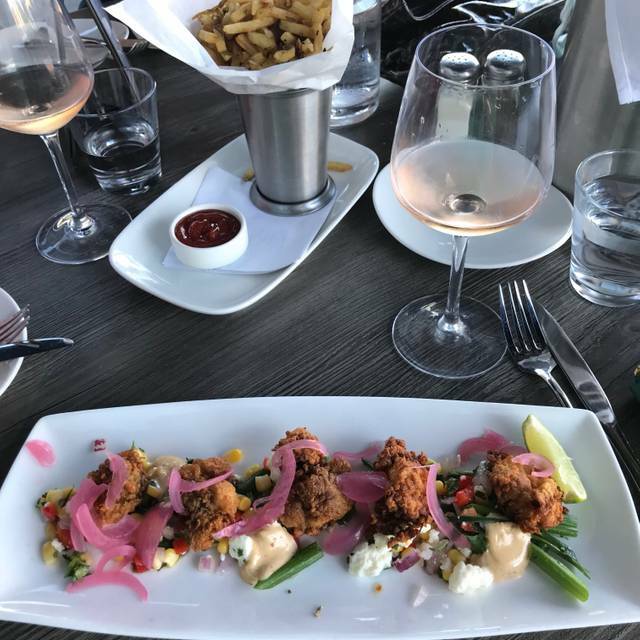 Amazing happy hour food! Me and my wife had a dinner date, the server was very attentive and so polite. The food on the other hand wasn’t up to the standard we thought. I had the lamb rack and it was okay, I was hungry so I ate it. My wife had the 6oz filet mignon, she ordered it medium but It was more of mid rare and her asparagus was hard even though it seemed grilled. We didn’t say anything to the server because we didn’t want to be that couple. It seemed as if our food was rushed since the kitchen was about to close in 35 minutes. I understand the cooks point of view on pre-cleaning to leave on time or early. I don’t think anyone should receive Poor quality food, doesn’t matter if the kitchen closes in 2 minutes. Every guest deserves to have a nice meal, that was our first time dining in and don’t think well give it another shot. I’m guessing don’t dine in after 8 pm, you may be disappointed. Dinner at the bar was very enjoyable - service was outstanding and dinner delightful. My only gripe was the charge for soda water, even with ordering 5 drinks between my wife and I. Excellent food and service. Was seated in the room with the fireplace that added a nice ambiance and was quieter. The donut dessert recommended by Ali was super. Abby, our server, was terrific. Very knowledgeable from the wines to the special sauces on the fish dishes. Fun, energetic vibe with delicious food. Lots of menu choices. Fun place with great food and service! Great choice for a date night. We had several varieties of sushi, and they were all excellent. Prices are fair for the high quality. Invited a client to lunch to discuss a new project and West Coast Provisions and we had a great lunch- and a great experience! Our waiter was great- and so was our food! Nice place. Been there three times and all have been consistent. Oysters are are handled well and are very good. Everyone at our table(5) enjoyed their meal. Desserts are good. Staff did good job considering it was a Saturday and they were quite busy. We will go back..
Food was awesome - try the rockfish, you won’t be disappointed with the combination of flavors. Volume of the restaurant was perfect for us - you could hear everyone at the table without having to shout, but yet there was a nice buzz of noise the entire time we were there. We will definitely be back. Love the tables in the bar area to enjoy happy hour or anything off the regular menu. It was delicious as always. A pleasant surprise, though way out of town. First time here a few nights ago. Five of us, and everyone was pleased. Attentive service, lovely ambience & contemporary decor, and best of all, excellent food. The tuna carpaccio and shrimp & grits were excellent. I prefer my shrimp & grits without competing heavy flavors (barbeque or bacon) and this was just what I like. Generous portions as well. The tuna was beautifully plated and delicious. Other folks had oysters, sushi and branzino and all plates were clean. And, omg, the house made donuts for dessert were scrumptious. Definitely recommend. Love the west end location much better than Cary St- beautiful contemporary decor and easy parking! REALLY loud. Couldn’t hear ourselves over the noise. Excellent service...we were celebrating 3 birthdays and made a reservation for 10 people. They were kind enough to allow us to bring a birthday cake and kindly served it for us. drinks are pricey. food is great and service too! My Family and I were looking forward to trying this new restaurant in the West End and although we loved the restaurant's ambiance and the service was very good, the food was a bit above average and we expected it to be excellent. The roasted potatoes were half cooked and half hard and the rockfish was just blah. It really had no flavor or accompanying flavors as in a sauce. The appetizers were delicious and full of flavor. I will come back another time and try again, and hope that the whole meal will be on point. This was our first visit. We will definitely be back as there was so much on the menu that we wanted to try but couldn't. We went with the Sushi/Sashimi small plates and then split a delicious Rockfish and Polenta Entree which left room for the absolutely delicious butterscotch pudding with homemade shortbread for desert. Oh, and I high recommend The Expat cocktail! Meh. Service was not up to par. No one explained the menu or cared. We ended up not eating an appetizer and no one asked why, just happy to take our money. The food was kind of bland. Quality seemed on par, but the taste was certainly lacking. Overall, not memorable and not somewhere I would go again or recommend. Incredible menu, excellent service, well worth the bill. We dined at West Coast Provisions on Saturday the 16th. I had a Mahi dish that was supposed to be spicy, it wasn't spicy in the least bit. Also, the fish tasted like a piece of frozen fish I could have gotten at any grocery store and it tasted rubbery. My wife had fish tacos, which were OK, but nothing special. Also, the restaurant was very noisy and made conversation difficult. I would not return to or recommend WCP. It was very nice. Food was great. Pace was slow from dinner to desert but was otherwise a great valentines meal.